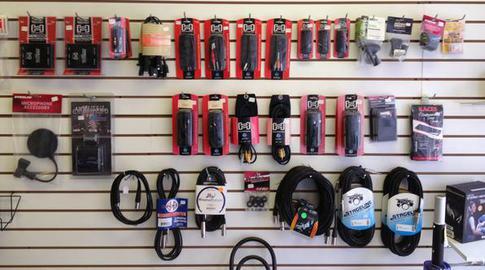 Guitar, mic, speaker, MIDI, we have the cord you need. Line 6 JM4 Looper - $329.99 - Stomp box amps and effects with jam tracks! Effects, the icing on your sweet tone. We have effects starting at $19.99 !! From entry level to road worthy "pro" pedal board style. 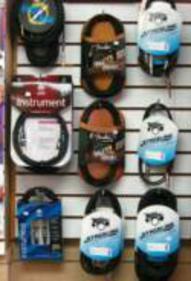 We also carry pickups, tubes, drum machines, digital recorders and the list goes on. We also carry more than what this page is showing. If you want it we'll get it. Don't forget to check the manufacturers web links on our "Services" page. 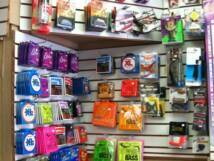 Strings, capos, parts and accessories - If we don't have it we'll get it and stock it just for you! Samson CO1U 79.99! 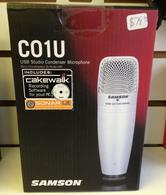 A USB interface with recording Cakewalk recording software and an excellent condenser mic to capture song ideas, POD cast, or demo you next hit song! Best product on the market bang for buck. Please ask for compatibility requirements for your recording media. Dano FAB Pedals - $19.00 Each!!! We have a wide variety of cords for all your connection needs. MIDI, iPhone, iPad, P.A., and much more. Call or email us about us and we'll get the cable you need! And yes, Harmonicas (Harps) from all the main manufacturers! An industry standard for the bucks. Features endless loops and a Mini-USB for the TonePrint online feature from T.C. Electronic. Nice!